This adorable baby towel makes the perfect gift. 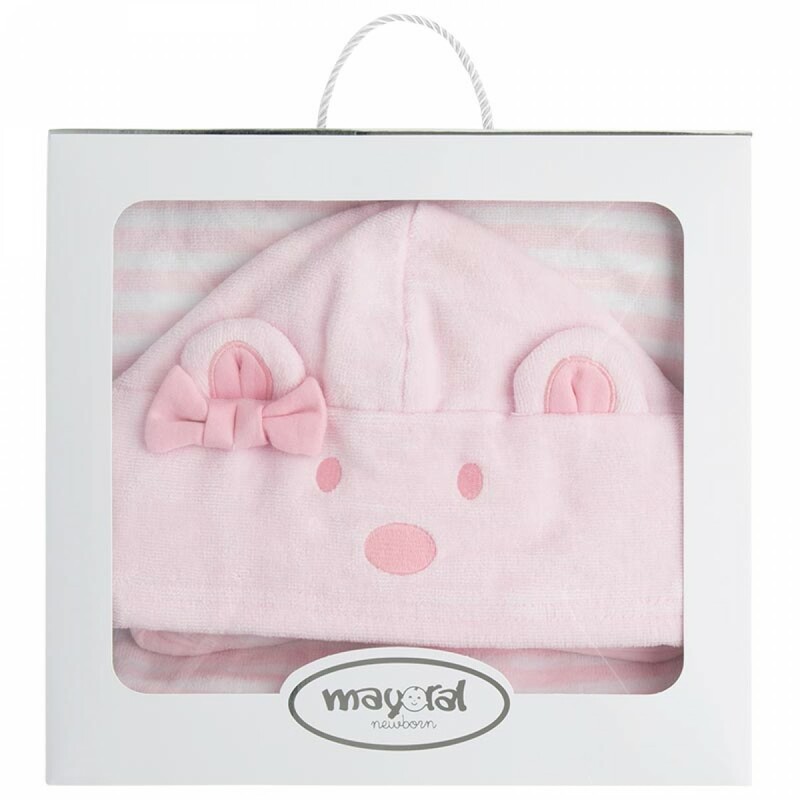 Beautifully made by Mayoral in the softest towelling, it has a delightful pink and white striped pattern. It's all finished with a totally adorable teddy bear shaped hood. It's a great gift that's sure to have the phone cameras clicking - who doesn't love a cute baby wrapped in a snuggly towel?! It's a beautiful but very practical product - the lovely velour feel and the jersey lined hood is sure to make that moment when she has to leave the water that much easier. It's a really well presented product, which looks amazing in its clear fronted packaging.